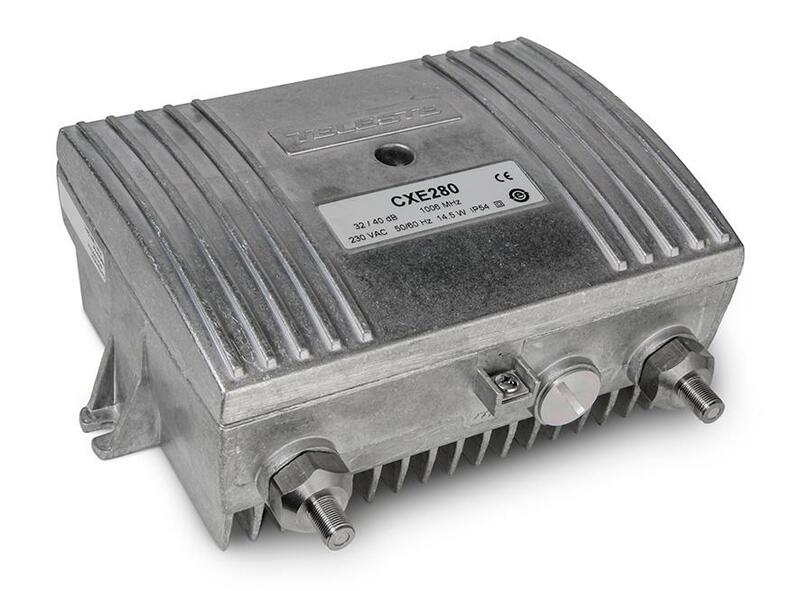 The CXE280 is a dual output amplifier. It has two gain modes in one product. Gain can be selected on the field according to wanted operation. Higher gain is designed for distribution purposes and lower gain is suitable for line extender use. All signal controls are using standard attenuator pads to minimize the selection of spare plugs.